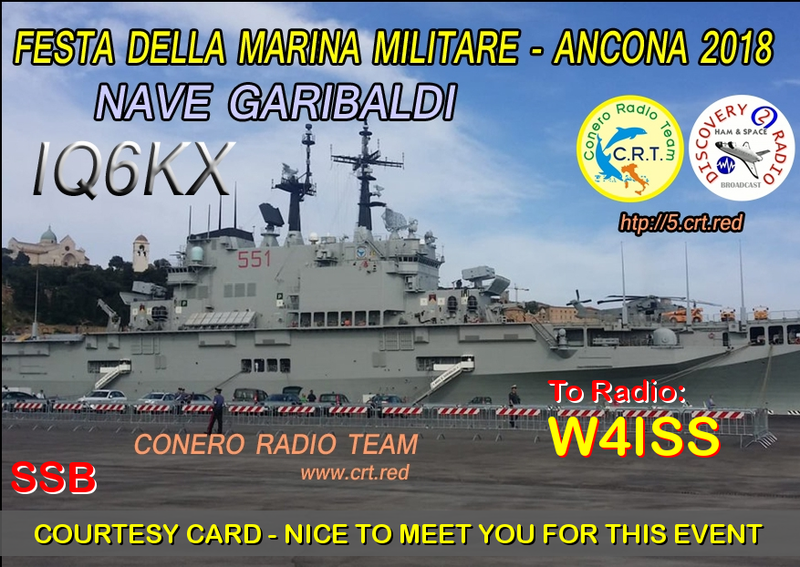 On the occasion of the National Day of the Navy that took place this year in Ancona, we have created this Dqsl dedicated to the Flagship of the Italian Fleet, Nave Garibaldi. 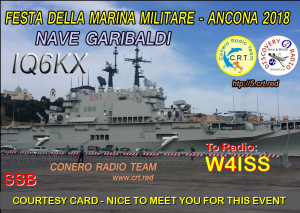 This DQSL can be obtained with only one QSO during the activities of IQ6KX in SSB for the Diploma MIR PUZZLE and SPAZIO ULTIMA FRONTIERA (VALENTINA TERESHKOVA Saturday and Sunday 16 and 17 June), the DQSL is reserved for CRT Members, and CRT FANS. Activities also in FT8 for CRT-PT.